I can’t believe it! September 20th marked the one year anniversary of the release of my debut novel, A Heart Not Easily Broken! While it is a celebration of my journey into the world of being a published author, it’s also the ‘day’ Ebony and Brian meet for the first time, thus…it’s their Book-A-Versary!!! MJ: Ebony, Brian, it is so good to see you again! How is life treating you? Ebony: Very well, thank you. MJ: I am so glad to hear that! So, congratulations and Happy Book-A-Versary! I can’t believe how fast time has flown by. Ebony: And a lot has happened. MJ: Yes it has. (I eye the shiny ring on her wedding finger). So, without giving away too much about your story, what can you tell me about your relationship now? Brian: (Picks up Ebony’s hand and squeezes) There’s been a lot of good in our relationship, despite the fact we had a rough time, but we made it through. The support of our family and friends has made it easier. Ebony: I agree. I can’t believe I ever doubted for a minute what my family would have to say about us. But above all, I have to say I appreciate Brian in ways I can’t even explain. One thing I’ve learned is to never second guess my feelings. If something is bothering me or I’m unsure, I communicate it to him and we work it out. Don’t get me wrong, we’re not perfect, neither is our relationship. We’ve just learned how to make it better. MJ: I won’t take up too much of your time because I know you guys keep busy schedules. I do have some questions from readers who have been asking for months if it would be possible to get an update from you. Are you up to it? MJ: Cool! Ebony, we’ll start with you. Readers would like to know how your families are getting along. Brian, we know your family loved Ebony from the beginning, but your family, Ebony, well, your sister to say the least, wasn’t too thrilled. Ebony: (She laughs) Lashana has slowly come around. Her biggest fear was whether I was thinking with my head or just looking for a thrill in trying something new. But now that she’s meet him, I think he’s growing on her. Ebony: My brother, of course, is cool because come to find out, they have a lot in common. And my parents…they surprised me. They get along great with his family and love Brian to death. It seems as if I was the one who had the problem. MJ: We all learn and grow. It sounds like you have done well. Next question, have you finished school? Ebony: YES!!!! And yes, I do have the job! MJ: Congratulations! Now of course, we know that you, Yasmine, and Kaitlyn are very good friends and have seen each other through a lot. With the change in your lives, have you been able to keep up with your Girls Night Out plans? Ebony: Oh that is a good question. Yes and no. Each of our lives has taken a different path and the ease of being single and free is gone. We still talk by way of the phone and of course we’re always on Facebook, but the reality is we’ve had to grow up. We mostly do lunches and meet at the nail shop for mani and pedicures. (She looks at her nails), though why I bother I have no idea. But regardless, we’re always just a phone call away. MJ: Yes, life does have a way of changing things for us. And it’s good to know your friendship is still strong. Now, Brian, the next question is for you. Have you been back on tour? Brian: Thankfully, no. One thing I’ve learned to do is prioritize what is important in my life. I thought being on the road would be it, but it’s not. I try to stick closer to home, though my hours are still long. At least I know I’ll be home at night. MJ: Well, that pretty much answers the next question; do you get home at respectable times? Brian: Most nights, Ebony is asleep on the sofa waiting for me to come in the door. I can’t blame her thought, after she’s worked a long day, I’d never ask her to wait up. I try to make up for it as much as possible by planning late night dates or bring her roses. Ebony: (She laughs) I never need to waste money on buying Glade Plugins, that’s for sure. I have homemade potpourri everywhere! MJ: Aww…that’s so sweet. So it sounds as if the classes you guys took helped? Ebony: Yes they did. If we hadn’t taken that step, I’m not sure where we’d be. MJ: Okay, last question, I’ve been holding on to this one. How long will it be before you start a family of your own? Ebony: With so much time spent working, it’s hard to enough to spend time together, much less raise a child. MJ: Do you want one? MJ: Then you will find a way to make it work. Well, that’s all the time I have for now. I’ve got writing to do and I’m sure you guys would like to spend your Sunday doing other things than talking to me. Until next time, take care! 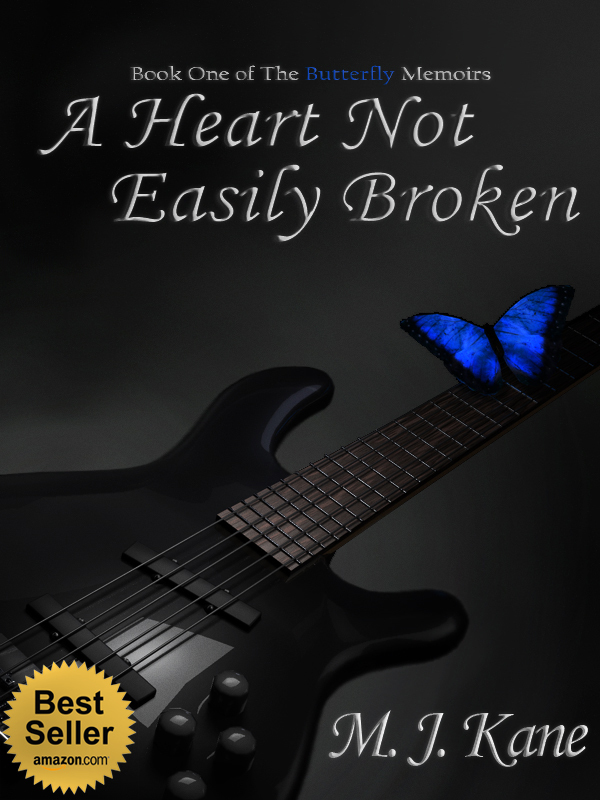 If you haven’t read the Amazon Bestseller, A Heart Not Easily Broken, buy your copy today! It’s $3.99 and available for Kindle, Nook, iTunes, and on Smashwords. If Paperback is what you prefer, find it on Amazon or Barnes & Noble! For more information on The Butterfly Memoirs Series and a sample of the next book, Jaded, visit this link! Thank you for stopping by! I love to make new friends. Got questions or comments? Leave a comment, or connect with me online! If you’ve enjoyed this post, sign up for the monthly newsletter by following this blog! This entry was posted in #A Heart Not Easily Broken, #Amazon, #authors, #Bestseller, #BYNR, #cheapbooks, #ContemporaryRomance, #ebooks #Romance, #interracialromance #IR, #IR, #rafflecopter, #romance #MJKane, #RomanceNovel, #TheButterflyMemoirs, #Women'sFiction, 5PrincePublishing, Amazon Bestseller, Atlanta Authors, Barnes and Nobel, Bestselling Author, books, butterflies, characters, Indie Authors, M.J. Kane, This Writer's Life Blog and tagged A Heart Not Easily Broken, Anniversary, Barnes & Noble, Book One of The Butterfly Memoirs, Book-A-Versary, Character interview, Contest, iTunes, M.J. Kane, Not Easily Broken, Rafflecopter, The Butterfly Memoirs. Bookmark the permalink. ← Looking for the Hottest IR Reads? Look No Further! Glad you liked it! Good luck with the contest! Happy Anniversary! …oops, I mean Happy Book-A-Versary! Happy Book-A-Versary M.j! Sounds like they with child now, and ya’ll ain’t tellin lol. Yeah yeah, we gone get you a pretty jacket with butterfly’s lol. Sign up for the Fan or Author Newsletter Today! 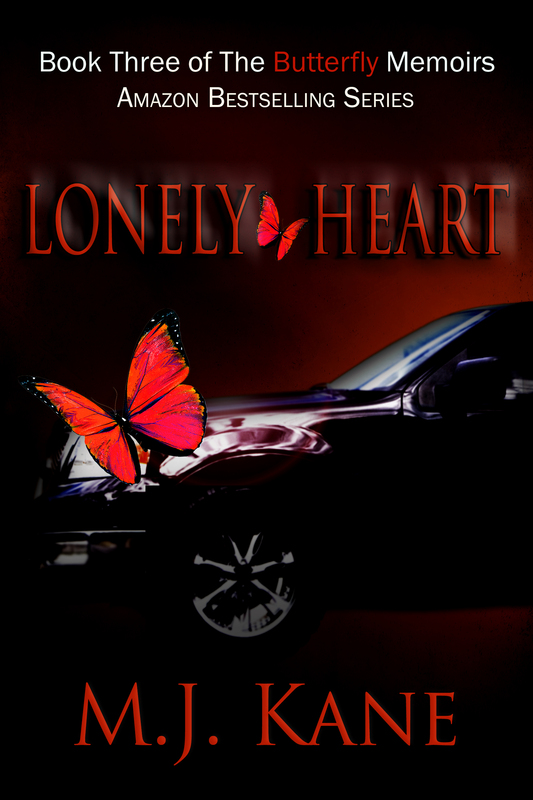 A Heart Not Easily Broken- Book One of The Butterfly Memoirs...Click to buy your ebook copy today for .99 cents (LIMITED TIME ONLY!!!!) Also Available in Paperback! Jaded- Book Two of the Butterfly Memoirs...Click to buy your copy today for $3.99! Also available in Paperback! Available March 6, 2014 on eBook and paperback! Stay tuned! Follow M.J.'s Memoirs on Instagram! Visit for quick links to posts, and check out my vision of the characters of The Butterfly Memoirs! 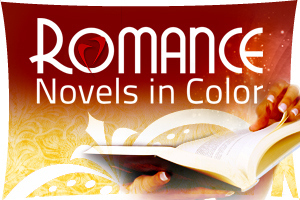 Looking for the hottest Romance Novels in Color? Check it out! A Heart Not Easily Broken on Storyfinds .com! I am a Weekend Warrior Writer! Check out my fellow #8Sunday Writers!